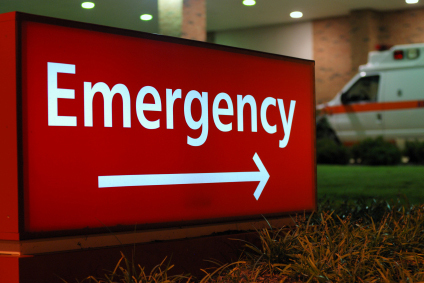 By mining state Medicaid data and utilizing a population health platform, the Wyoming Department of Health was able to slash its Medicaid-related emergency room visits by 20 percent in a one-year period. The state, which has nearly 88,000 Medicaid enrollees, also saw small improvements in 30-day hospital readmission rates, as they declined in 2013, down to 6.89 percent, compared with 7.4 percent in 2012. Xerox, who serves as the Wyoming Department of Health's Medicaid quality care management vendor and is responsible for processing claims and billing data, announced the statistics this August. After analyzing the claims data, officials were able to identify top cost drivers in the Medicaid program, one of which was found to be emergency room services. Medicaid patients who had been admitted to the emergency room more than 10 times in the past year were flagged in their records and subsequently contacted by continuity of care managers who work to engage those patients in better managing their care following hospital discharge. As another layer of intervention, the department also implemented a 24/7 nurse advice line available to enrollees. Resultantly, with fewer emergency room admissions, Wyoming Medicaid has seen ER costs per member, per month decline by more than 20 percent. The state's average per member, per month cost for those enrolled is $611, an increase of 2 percent in 2012. According to the Wyoming Department of Health's 2013 Medicaid report, the top 5 percent of enrollees account for the lion's share, 54 percent, of Medicaid expenditures. "Our priority is to help people make informed decisions about their healthcare, like how to best manage chronic conditions and where to seek treatment when necessary," said James F. Bush, MD, medical director at the Wyoming Department of Health, in a prepared statement. The "care management program enables us to support our patients in this way, and it reduces unnecessary and costly ER visits." Not all of the state's numbers saw improvements, however. For Medicaid outpatient hospital services, which includes emergency room visits, surgery, labs, radiology and medical testing, the state saw overall expenditures increase 5 percent in 2013 compared with fiscal year 2012 – this despite expenditures being lower in 2011 compared to 2012. Overall expenditures per recipient also increased, up to $749 per member per month in 2013 compared to $686 in 2012 – all this with a 4 percent overall decrease in 2013 Medicaid recipients compared with the year before. And some even questioned whether a 20 percent ER visit decrease and a .51 percent decline in hospital readmissions in a one-year period were actually valid. "Regression to the means?" tweeted Janet Weiner, associate director for health policy at the University of Pennsylvania's Leonard Davis Institute of Health Economics. Weiner's colleague Ari Friedman, fellow at at the Leonard Davis Institute, chimed in, "Not causal, 2) Not reproducible, 3) Implausibly large?" Added Friedman, "If you added up all the ways people have claimed to reduce ED visits, we'd have no ED visits left."